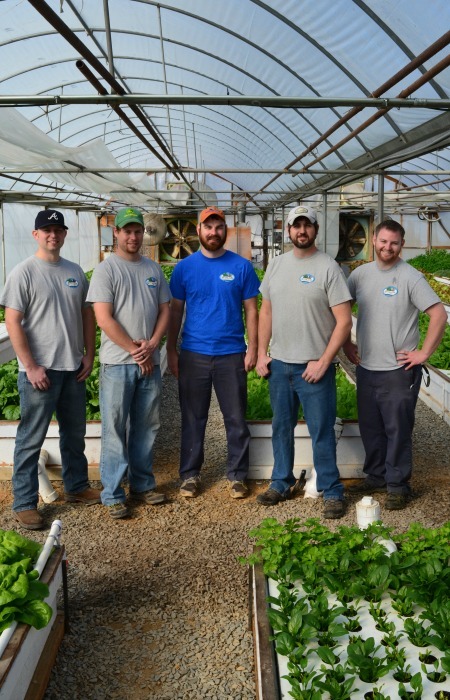 Spring Lake Family Farms is a family-owned business, located in Albemarle, North Carolina. 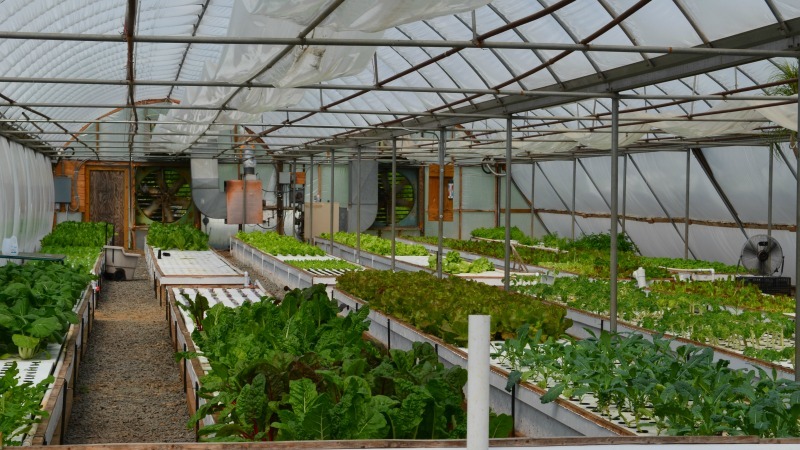 We have built an Aquaponics facility in order to grow our produce year round and without pesticides or fertilizers. Aquaponics is an integrated agricultural production system that uses the best aspects of both Aquaculture and Hydroponics. Aquaculture is the production of aquatic animals, and Hydroponics is the production of vegetables without soil. Each system has its own drawbacks, such as expensive Hydroponic solutions of nutrients for plant life and excessive water exchanges. But by combining the two systems into one recirculation system, the problems are solved. Since we combined the two systems inside a greenhouse, we eliminated the need for synthetic fertilizers and pesticides. In this all-natural process, the fish create the nutrients needed for plant production, and the plants filter the water needed for fish production. The water is constantly circled and recycled throughout the system, picking up the nutrients and depositing them to the plants. In addition, Aquaponics uses 80% less water than conventional growing methods because of the recirculation and conserves energy by producing two products under one roof. At Spring Lake Family Farms, we currently have three 850 gallon rearing tanks where we are raising Hybrid striped bass and yellow perch. Connected to the same system, we have 1,600 square feet of Hydroponic grow troughs where we are producing three varieties of lettuce, Swiss chard, bok choy, kale, and basil. Our family is large and varied now, but we are working hard together to provide our community with affordable, good-for-you food. We started Spring Lake Family Farms in 2014 with an idea and a dream for our family and community to have a local economy and local produce available. Spring Lake Family Farms’ mission is to provide our community with natural produce at affordable prices, to provide our customers with excellent service, and to educate our community on the benefits of working together as producers instead of consumers. We love every opportunity to get to know you and talk about our mission. Contact us today to set a date for your farm tour. Spring Lake Family Farms 2017. Picture Window theme. Powered by Blogger.